There are many pathways to a Spanish major. You can start the major at any level. It's possible to fast-track the major if you are willing to take a summer intensive course on campus or abroad. Those starting at SPN 301/302 or SPN 308, you will already be earning upper-division credits for the major and will apply for future study abroad during the fall semester. Students taking SPN 308 for heritage speakers during fall semester on campus leap-frog directly to upper-division content courses on campus and abroad. 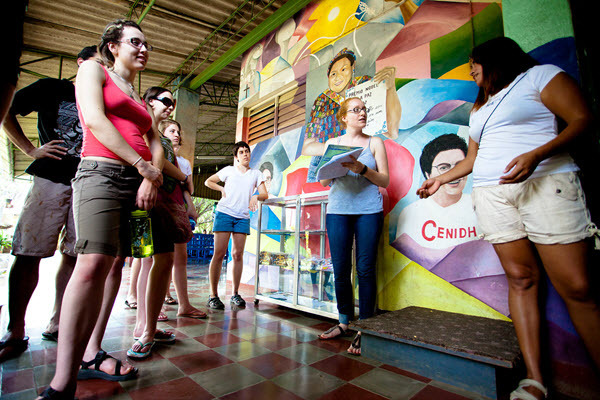 Study abroad in Latin America or Spain is required for the major. The Latin American Studies track offers you an interdisciplinary experience solely focused on the region on campus and abroad. For course descriptions and more details on major requirements, see the Bulletin. Freshman year: SPN 308 and SPN 330, 331, 340, or 440. Junior year: SPN upper-division elective course.